Today's releases is one that seems to be fun & educational in Apples to Apples. As the holiday break is peering around the corner, why not check out this neat looking trivia game. 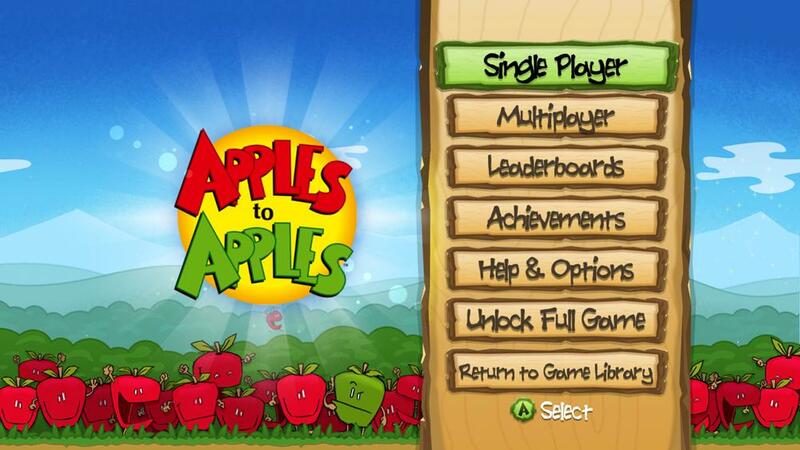 "Party-style fun is ripe for the picking as Apples to Apples™ the video game comes to Xbox LIVE Arcade! This game of hilarious comparisons is as simple as comparing “apples to apples” – just select the red card you think is most like the green card played by the judge. If the judge picks your card, you win the round. And everyone gets a chance to be the judge! 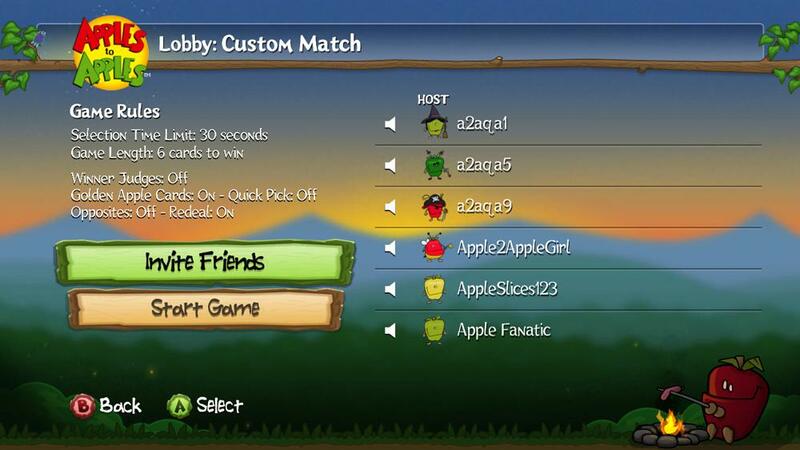 Play online with up to 5 friends in Classic Mode or two variant modes – Baked Apples and Crab Apples! Choose from 26 hilarious Apple Avatars, enjoy environments like Space Apples and Carnival Apples, and collect Golden Apple Cards that mix up the game! Bursting with over 1000 red and green cards, Apples to Apples™ the video game provides endless hours of unpredictable, over-the-top fun! "